Astarte Moon Inspirations a life closer to nature's rhythms : Super New Moons in January February and March. Can you feel the increase in energy? Super New Moons in January February and March. Can you feel the increase in energy? How has this moon phase been for you? I've taken full advantage of the New Moon this January and gone full on into creating my new website, it is something I have been meaning to do for a long time and have been putting off. As many of you know I suffer from migraines and this puts me off starting big jobs like this knowing that it may be hard to finish them but I decided that I just had to go for it. Our waxing moon has really been in my favour these past few days and I have been able to work really well and have got so much done. I'm very chuffed with myself!! I am also feeling a great deal of gratitude for the wonders of the universe that we inhabit and it's ever changing nature. Even my daughter who is not particularly into this sort of thing commented that the moon must be giving her energy as she was feeling it too! She is busy with a heavy work load from school at the moment and so it really helped that the waxing moon was giving her the energy to get through it. It was a super new moon this January so that may have something to do with it. This means that our new moon was closer to the earth than she normally is. A super moon has to be within 361,836 kilometres or 224,834 miles to be defined as a Supermoon. At the time of the super moon the effects that we normally feel at the new moon will be accentuated. This super new moon also brings wider ranging tides than normal. The tide rises higher, which is called a Perigean spring tide and also plunges much lower. More information can be found on super moons here: What is a Supermoon? 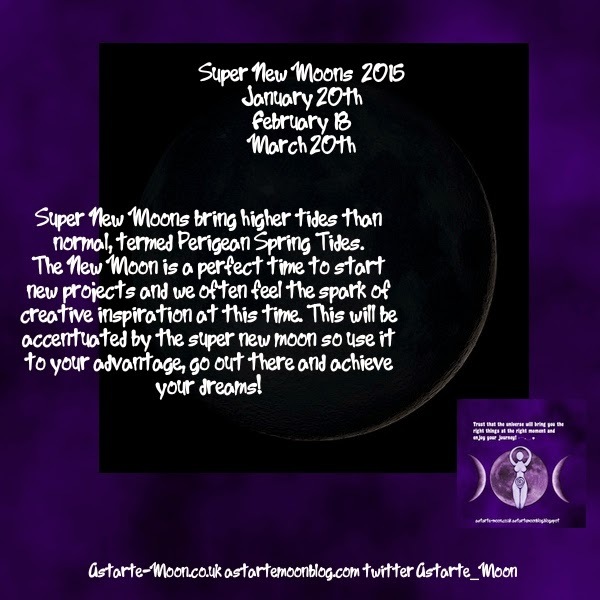 Our February new moon will also be a super new moon as will be the new moon in March of this year. February's new moon occurring on the 18th will be the most 'super' of the three as it is closest to the lunar perigree. Perigree means near our earth. The new moon on February 18th 2015 occurs at 23.47 UTC and the lunar perigree occurs eight hours later. Our moon in March will arrive on the 20th, approximately fourteen hours after pedigree. We will therefore be in for a real treat in February. 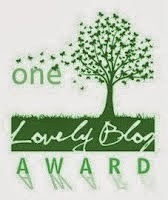 I'm looking forward to making even more progress on my blog and website then! If you would like to take a peek at my website it is http://www.astarte-moon.co.uk or you can click on the shop button at the top of the page here. I would love to know what you think, any improvements I could make etc. I'm still learning my way around the new programme. Steep learning curve but I'm getting there!! Hello, thanks for the info that explains why I am a little restless. I've had some emotional upheaval do to certain situations and honestly I'm a little annoyed by how restless and yet lethargic I've felt. It is a strange combination. I have tons of homework but really lack the drive to do it, which as much as I've complained about this or that, isn't really like me. However, I've felt that creative pull in a couple of directions that I haven't felt in awhile. For that, I am thankful and happy! What is really interesting is that every new moon we go to a Wiccan Spirituality Circle and for the last couple of months we have been focusing on the Elements. This month we are looking at water and the lady who runs the group wanted us to look at the 2nd chakra. Amanda, my gf, sat down and looked at stuff before me, so she kind of filled me in on what she read. It's really neat to see how all of it, the new moons, water, the 2nd chakra is having a little bit of interplay and connection. I love seeing things like that! Now, I really like the new site. I think its easy on the eyes and looks well put together. The only thing I would change is the space between things vertically. Maybe close some of the distance between the rows so people don't have to scroll so much, but that's an aesthetic choice I would make and not necessarily something that works for everyone. *hugs*!